I did a lot of travelling last year. For any new readers, myself and my husband, Darren, travelled somewhere every month of 2017 as part of my goals. So by the end of the year we were EXHAUSTED (not just from travelling!) and we really wanted to take a week just to relax and do nothing (I know, first world problems!). We were originally planning to do a 2 week tour of Italy, but we ended up choosing Marrakech instead. 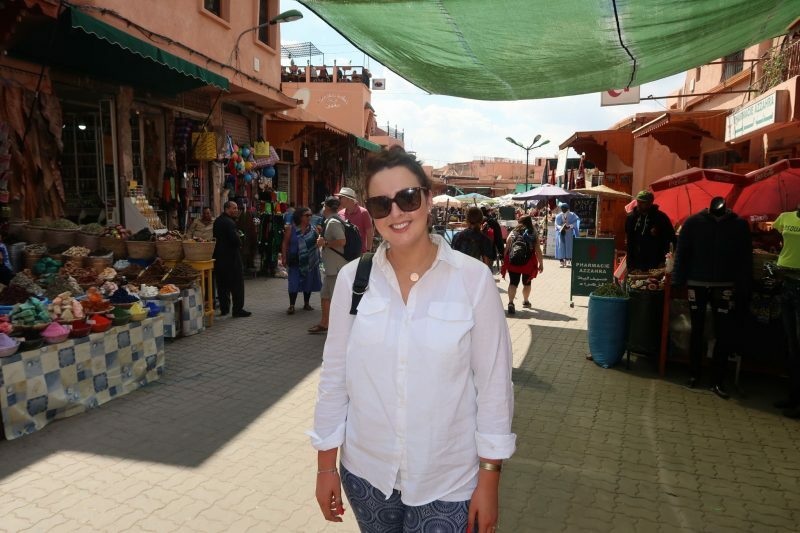 How I picked Marrakech for our next adventure really does sum up how impulsive I am! While I was walking in Dublin City Centre one day, I went by a cool looking restaurant, and once I got closer I seen that it was Moroccan. I rang Darren then and said “I’d like to go to Morocco…” and he said “why?” and I said, “I don’t know, where is it..?”. A few weeks later, he rang me and said he had booked us flights! So that was that! 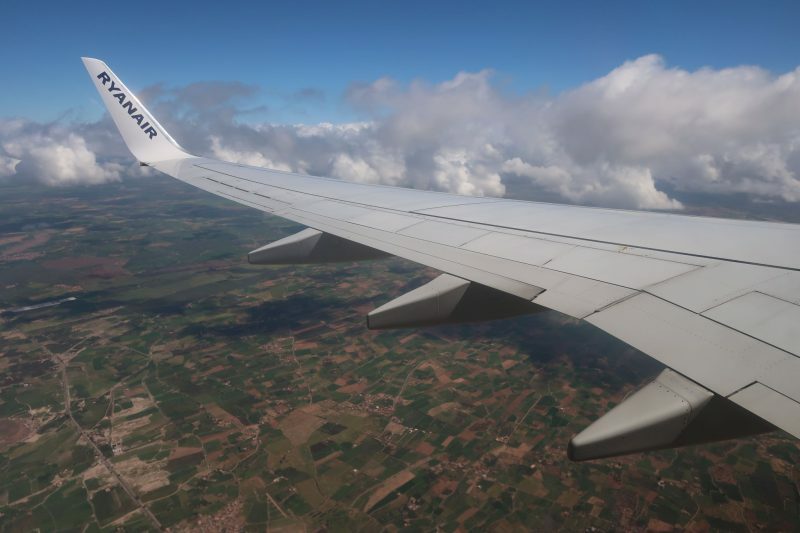 Ryanair have only recently started to fly from Dublin to Marrakech. They fly twice a week (Thursdays and Sundays), so you could potentially even do a 3 night stay. If these days don’t suit, you can get a connecting flight in London (this is what we did). Flight time is about 3 and a half hours, which is pretty good for somewhere that feels a million miles away. Travel Tip: As always, I’d advise that you book your flights as far in advance as possible, otherwise you may end up paying more or the flight could sell out. 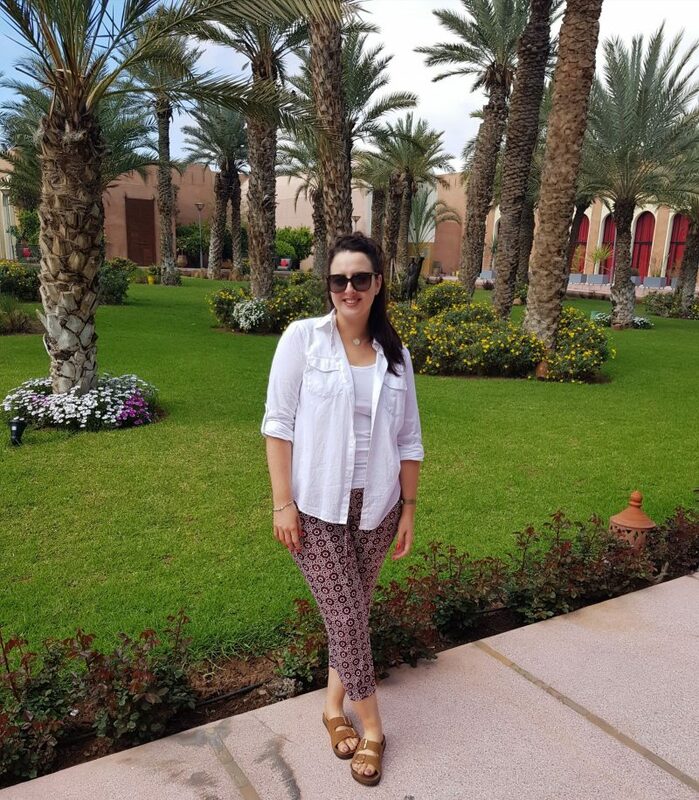 I had researched Marrakech beforehand (read many blog posts naturally!) and the general consensus was that the price of food and alcohol was quite expensive (about the same as Ireland). This, as well as the fact that we planned to do absolutely nothing for a week, made us look into staying at an all-inclusive resort. We stayed at the Kenzi Club Agdal Medina and we got a great deal. It was less than €800 for 7 nights for us both, all-inclusive, which Darren booked on Travel Republic (it was €300 cheaper than Booking.com). The resort had everything, you really wouldn’t need to leave it, and we didn’t for most of the week. Also, because we were all-inclusive, we spent very little money for the week! There were 2 restaurants. You had to book one of them but it was all Moroccan food and we didn’t like the look of the menu so we ate at the main restaurant every day. I mainly lived on pancakes for the week – which is also known as “LIVING THE DREAM”. They served everything from steak, fish, pasta, salads and desserts. There’s something for everyone and every night they have a different theme in the restaurant such as “Italian” or “Moroccan” for example. There’s entertainment on all day and in the evening too. The staff at the hotel were so friendly and funny and were either singing and dancing at all times. One of them reminded me to write a TripAdvisor review every time I seen him; hopefully this entire blog post is sufficient Ally (not his actual name, myself and Darren called him that). The rooms were nice. They upgraded us to a Family Suite on arrival which we were delighted about. 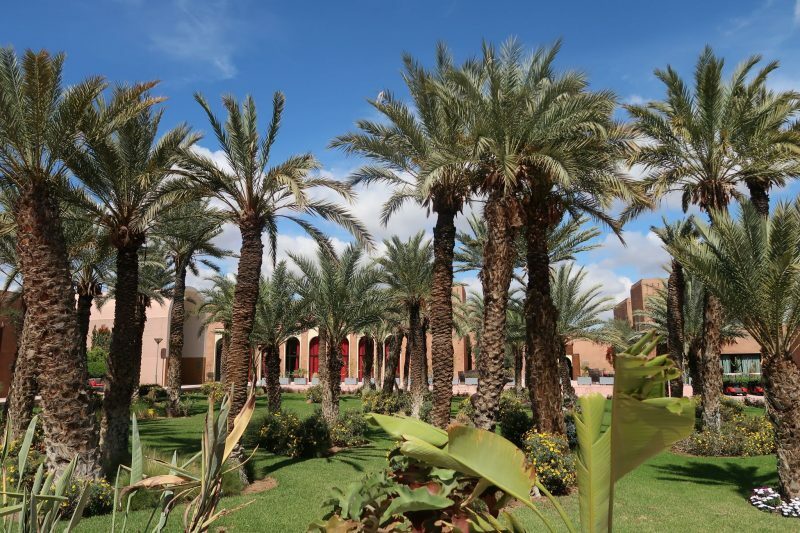 The resort itself is stunning, spotless clean and very well maintained. I would have no reservations about recommending it for couples and there were loads of families there too. Despite the fact we booked this hotel on Travel Republic, we generally book our accommodation on Booking.com because of the free cancellation. You can book it, and if you see the price drop, you can cancel it and book it again (they actually encourage this). The weather was one of the biggest selling points for us. We wanted to go somewhere sunny and there are not a lot of places on this side of the world that are hot in March. Spain and Portugal are also hot but since both of us were there about a million times in our childhood, we tend to avoid them! It was early to mid 20s for the whole week we were there and it was perfect. Although I will say that some days it felt a lot hotter! The SPF 50 was needed and we both still managed to get burnt! The week after we left (would have been the last week in March), it was set to reach 30 degrees Celsius! Too hot for us freckly, pale-skinned Irish folk if you ask me! They were smelly, spitted, went the toilet constantly and were really uncomfortable BUT the experience was hilarious! It was one of the best things we’ve ever done on holidays. 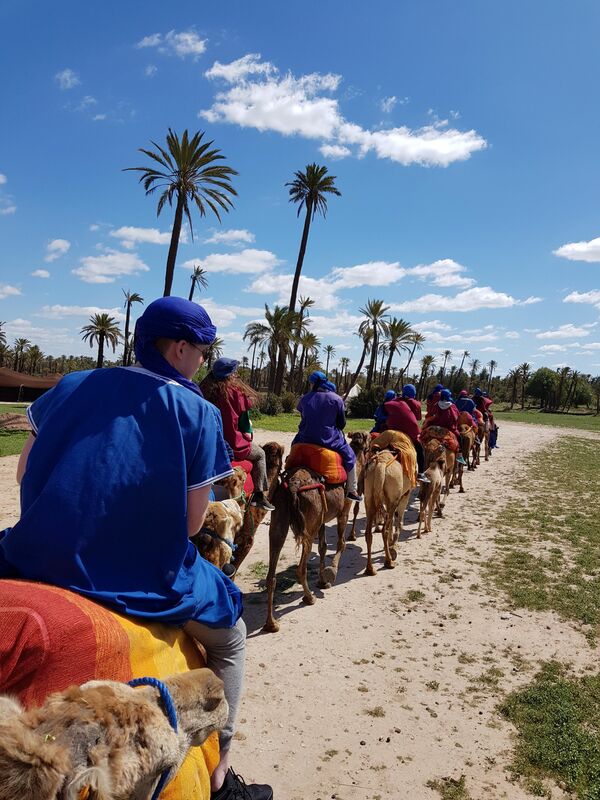 You can go Camel Trekking through the desert but the Sahara is hours away, which means most trips are for 2 and 3 days. 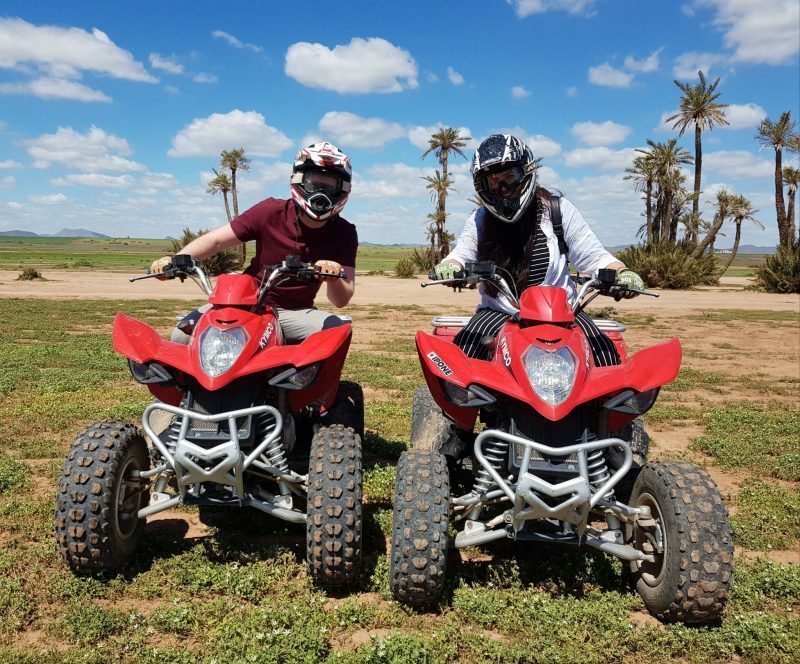 As well as Camel Trekking, we got to go quad biking as part of the package we booked and OH MY GOD! This was amazing! We both absolutely loved it so much. We drove through the Palmeraie (Palm Oasis), building sites, rural villages, sand dunes, it was so much fun and we actually were going really fast! It was so exhilarating, I definitely recommend it. 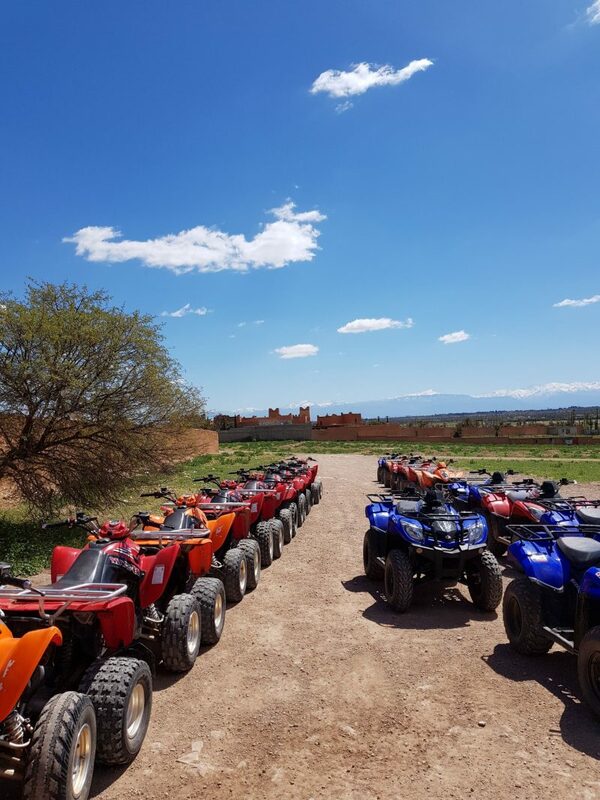 You can book the combo deal for Camel Trekking and quad biking here with Get Your Guide. 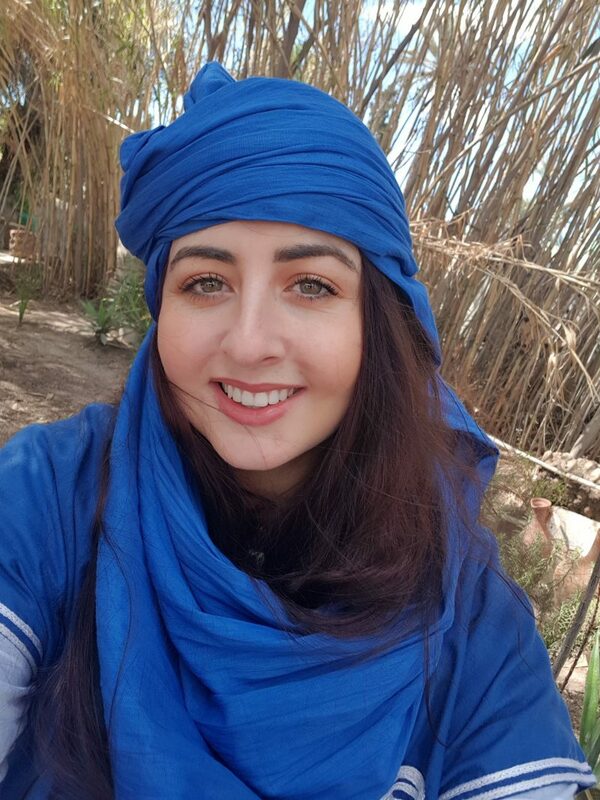 This was not necessarily a good experience, but I feel like I really got a taste Morocco the day that we visited here. It was a bit stressful at times actually. But once you’re aware of my below tips, you won’t be stressed. That’s why I write blog posts, not only to tell you about all the lovely things you should do, but what not to do when necessary. The Tour Guides are not Tour Guides. If anyone asks you if you need a tour guide say NO (very abruptly, I know it will feel rude) because here is what they do. They start walking with you and telling you that you’re going the wrong way (you’re more than likely not) and they want to bring you the right way (out of the kindness of their heart… NOT!). So they bring you around in circles (usually they’re friends walk behind you) and then they want money! Travel Tip: If anyone starts to follow you, regardless of what they say to you they will look for money, tell them to go away or you will call the Police. This works! That’s the best term I could come up with to describe men constantly calling after you. I was covered from head to toe, besides my ankles, but I was hardly teasing! Darren got offered a 1,000 camels for my hand in marriage. I’ve gotten another one since coming home too :p All joking aside, it was a bit much! 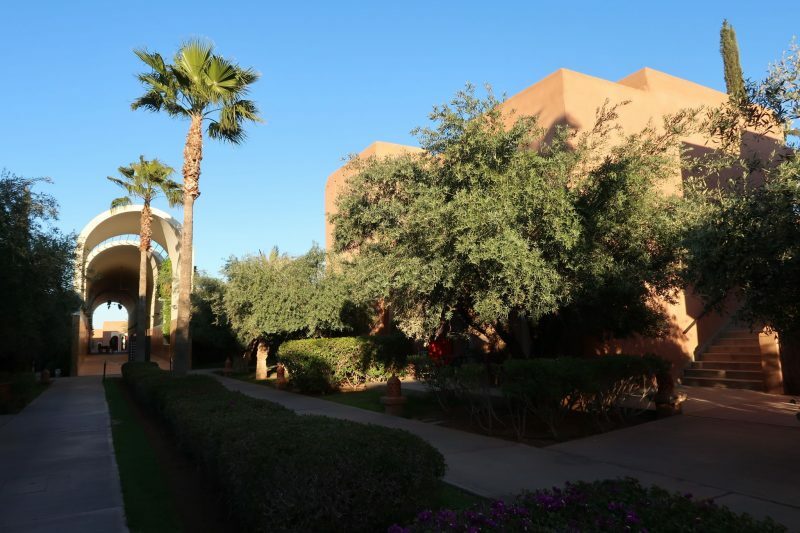 Travel Tip: When you’re outside of your resort, cover up fully. 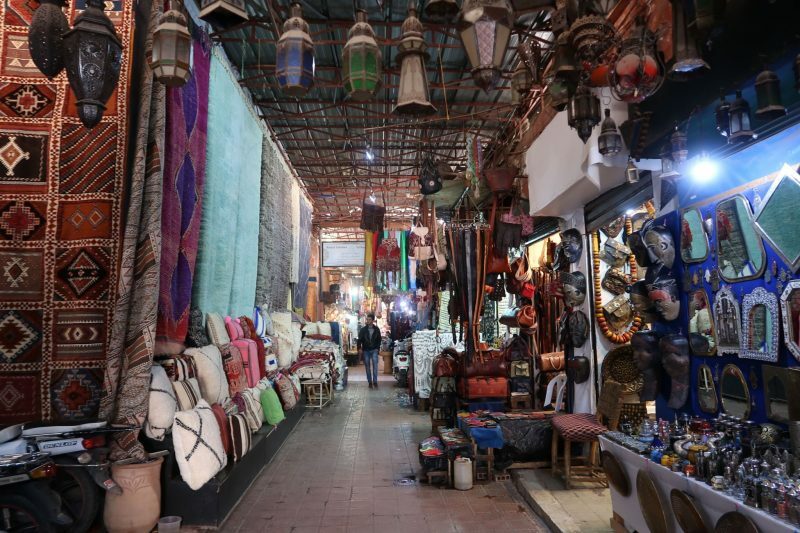 Besides the above, you can buy some really beautiful Moroccan pottery, pashminas (not genuine), bags, silver, Moroccan Oil and Argan Oil. A Hammam is a cleansing ritual. There are different types but in Marrakech they are Islamic styled. In short, you spend a few minutes in a steam room, then you’re taken to another room, where a mask is applied to your body (this is optional). After this is rinsed, the therapist scrubs you within an inch of your life! They use a really strong exfoliating mitt and my god, I felt spotless! It was amazing, I would definitely recommend it. This is not something we were interested in but if you ever wanted to go inside a mosque, there are some well-known one’s in Marrakech. 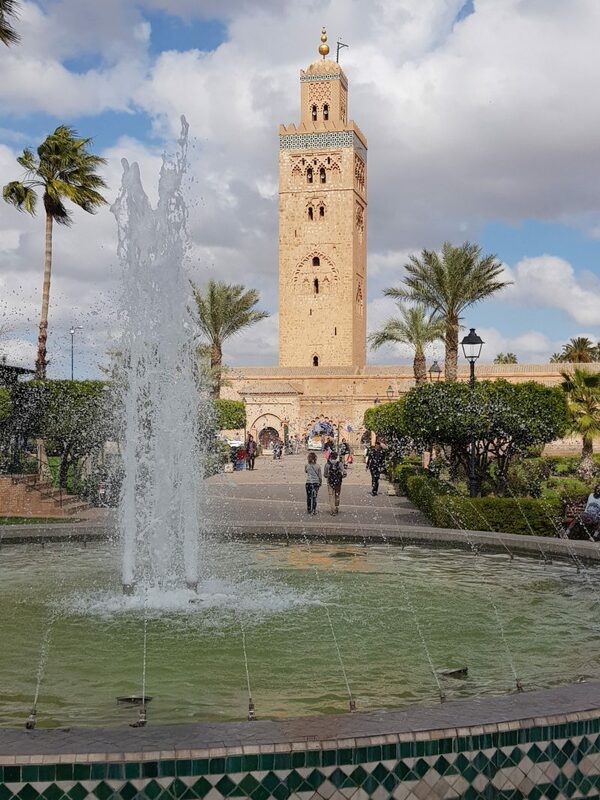 The Koutoubia Mosque (below) is the largest in Marrakech, and right beside the Markets in Jemaa el-Fnaa. So you could kill 2 birds with one stone and visit it the same day. 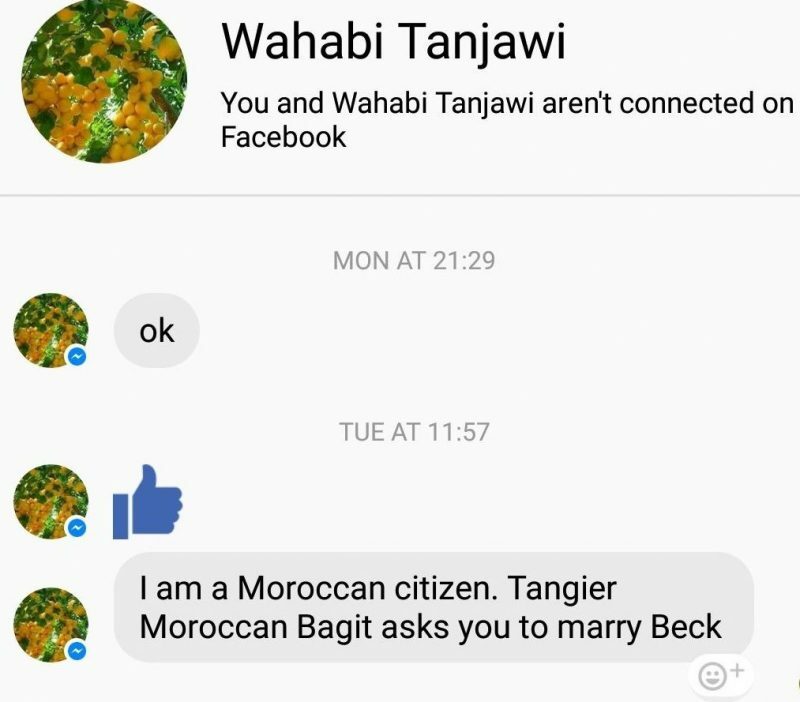 As mentioned, you can travel to the Sahara Desert from Marrakech. If camping is your thing, it would be worth looking into the 2 to 3 day trips you can do. Travel Tip: Look into this before you book your accommodation. 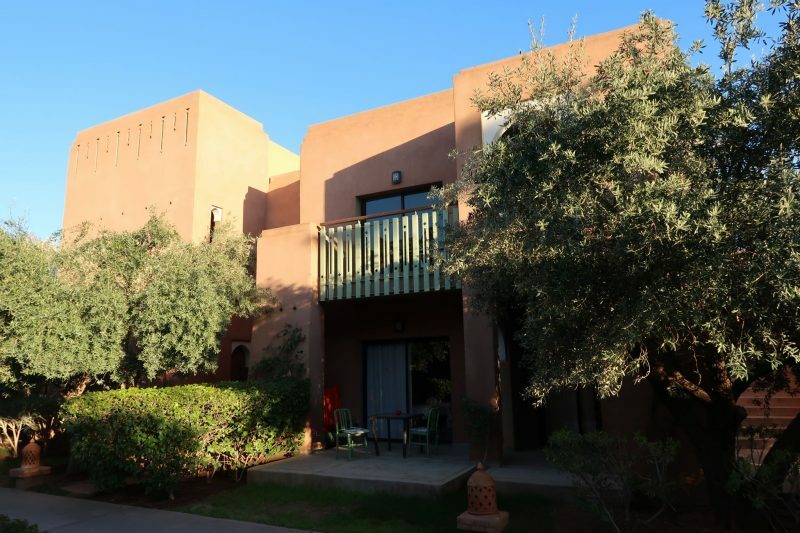 You don’t want to book 7 nights in a hotel, and then stay 2 of those nights in the desert! 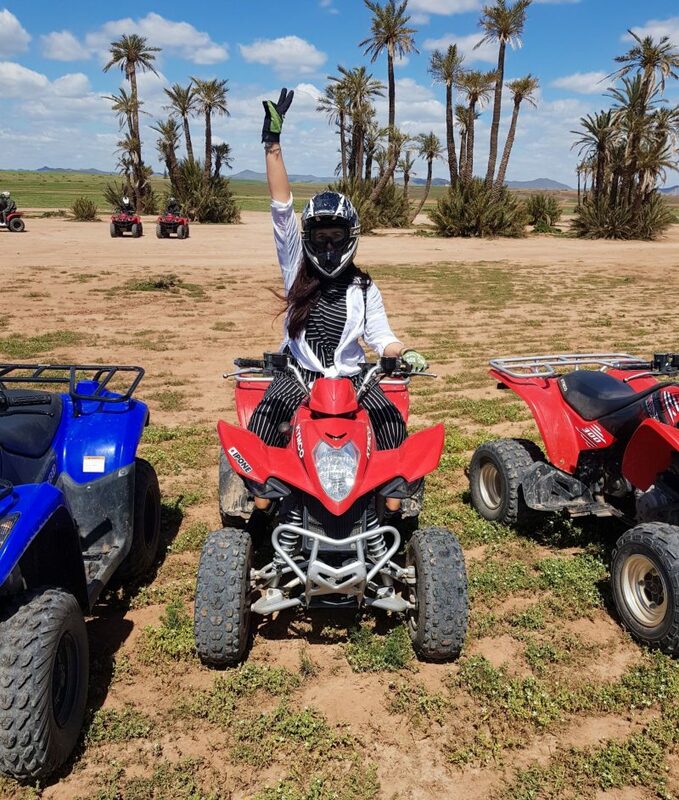 There is loads more to do in Marrakech but these are the things that interested me. Visit Get Your Guide for more ideas! Before I left, Bradley’s Pharmacy sent me so many goodies to bring with me to try! This was ideal because I really had time to try and think about the products. 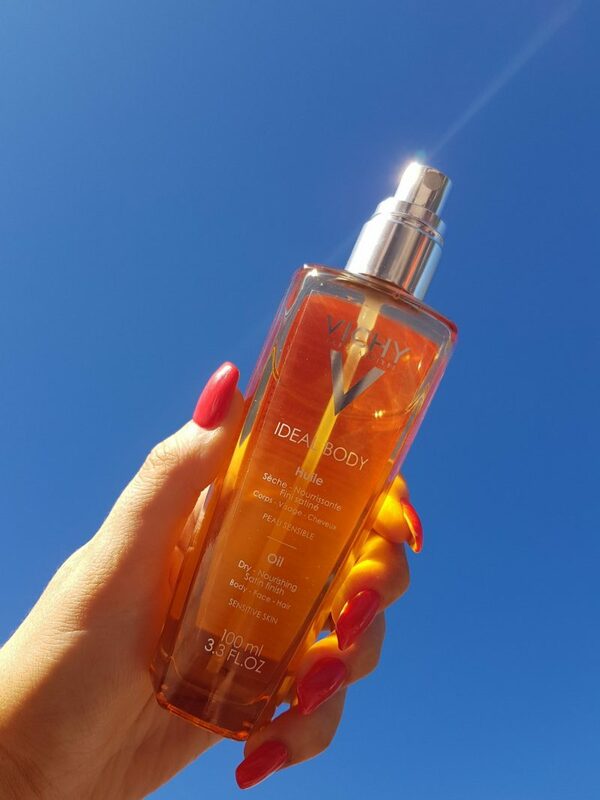 I loooooved the Decleor Anti-irritaion Serum, the Vichy BB Cream and the Vichy Body Oil. These were my favourite products from all of them! I wore the bPerfect Darkwater melon Tan all week. It was a gorgeous olive toned colour, wore off well and lasted well considering the water and sun creams. You can read more about my holiday tanning routine here. I will buy all of these myself once they run out! I’ll continue to update you on the rest of the products via my social media but I wanted to recommend them here too for anyone travelling soon! They can all be purchased online here or in any Bradley’s Pharmacy store. I hope you found the above helpful. 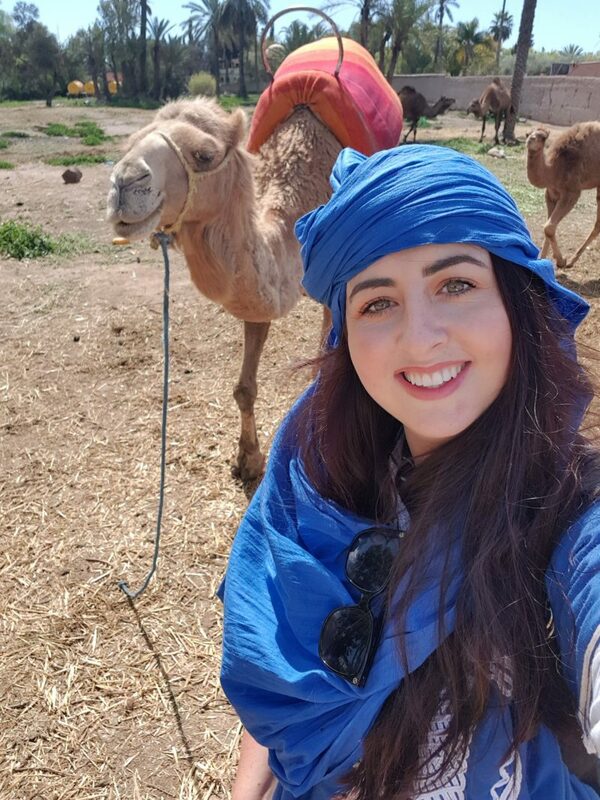 I already know that some people have booked Marrakech from watching our travels, that gives me so much satisfaction, and to inspire people to see more of the world is the main reason why I started Live Lavishly. You can read more about my travels here. Next Post Does Micro-needling Actually Work?